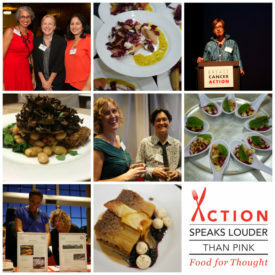 We’re excited to announce sponsorship opportunities for the 7th Annual Action Speaks Louder Than Pink – Food for Thought. This year’s event will be held Monday, October 16th from 6 – 9 p.m. at the Green Room at the War Memorial Performing Arts Center in San Francisco and will bring together breast cancer activists, community members and Bay Area Foodies. Renowned chefs, including Eric Tucker from Millennium, Charlie Ayers from Calafia, Bronson Macomber, and Sascha Weiss from Project Juice will prepare a delicious four-course dinner. Plus, you’ll be treated to a thought-provoking program that highlights Breast Cancer Action’s award-winning campaign Think Before You Pink® and this year’s egregious offender. Breast Cancer Action relies on support from individuals and companies to maintain our independence – free from real or perceived conflict of interest. You can sponsor this fantastic event as an Epic Epicure, Gourmet Guru, Edible Enthusiast, Culinary Connoisseur or Foodie Friend. Our sponsor levels range from $500 – $10,000+ and benefits include tickets and public recognition at the event. Plus, all of our sponsors will be featured on our website and in our quarterly online publication, The Source. A special thank you to Neyhart, Anderson, Flynn & Grosboll for their sponsorship! Want to support the work of fierce breast cancer activists? Become a sponsor or donate to this one-of-a-kind event! For more information about sponsor levels and benefits, please contact me at 415.243.9301, ext. 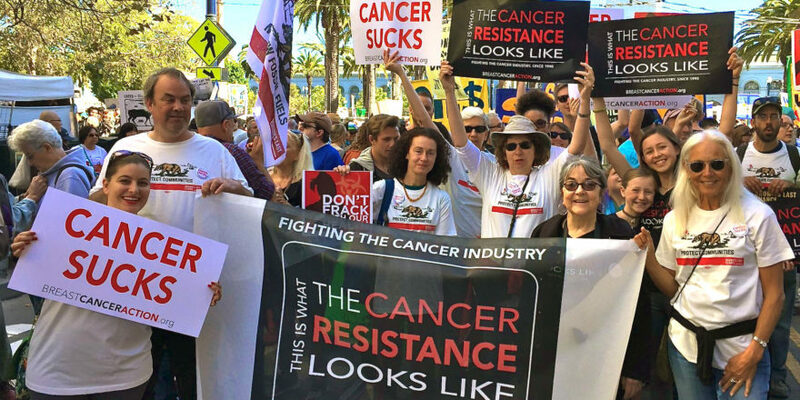 19 or at lpal@bcaction.org. Thank you for your ongoing support of our work. We can’t do this without you! P.S. Individual tickets will be available in mid- August! Can’t attend, but still want to support Food for Thought as a Sponsor? Donate today.